Being awoken to the Adelaide Hills experience . . . . . .
Having picked our guests up at the pre-arranged location, we climb through the foot hills to our first stop. This could be O'leary Walker at Oakbank or Howards at Nairne. 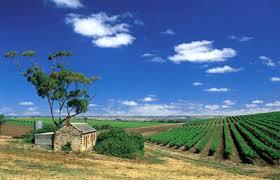 Or anywhere else you would like to choose, from the over 45 wineries in the Adelaide Hills wine region. We make sure that you are going where you would like to start and then visit through the day as planned. All stops will be completely of your choosing, and our booking team will have discussed and set the itinerary with you. Your choices will have been made with your preferences in mind.